Hussain is currently the QA Program Manager with NAWAH at BARAKAH Nuclear Power Plant (BNPP) in UAE. He joined Emirates Nuclear Energy Cooperation at early construction phases in March 2012; with utilities and manufacturing background. His key role is oversight of KEPCO’s and its significant subcontractors in the area of manufacture and procurement of safety related items to BNPP, including Nuclear Fuel. Hussain is the first UAE National to be qualified as a Nuclear Lead Auditor as per ASME NQA-1. He took major role in aligning and cascading FANR Regulations, ENEC’s QA Program and Prime Contract requirements to KEPCO and its significant subcontractors in UAE, South Korea and USA. This has required him to deal with the three main culture groups at ENEC/Nawah – UAE Nationals, Koreans and Expatriates. As a Lead Auditor, Hussain has carried out frequent evaluation of KEPCO and its subcontractors to verify compliance with ENEC’s requirements and monitor implementation at the different phases of the project. 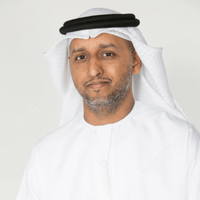 He is one of the key UAE national at NAWAH and he takes lead on review of NAWAH QA Manual and ensures it is fully aligned with ENEC’s QA Manual and meet the expectation of Regulatory bodies within UAE. He’s a member and representative with ASME NQA Committee and Nuclear Utilities Procurement Issues Cooperation since 2015. He shares new experience and deliver knowledge session to team in UAE. And he carries the knowledge of UAE project to International Committees.